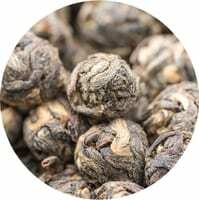 Plucked from a selected section of the plantation, the bundle of two tender leaves and a bud is carefully hand rolled by experienced tea workers at the estate to make the perfect delicate muscatel cup. A very rare and limited production sought after by connoisseurs all over the world. Suggested Brewing 3-4 minutes at 90 °C.